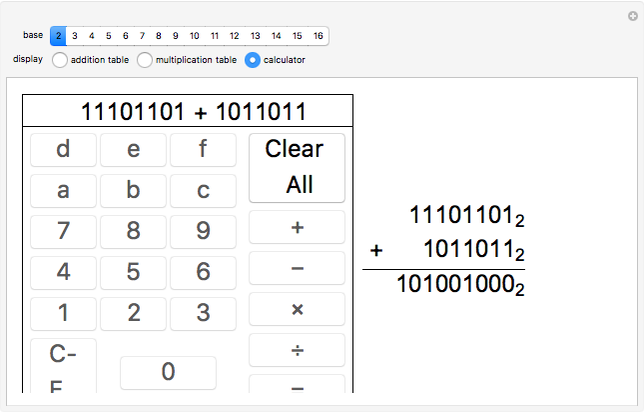 Learn arithmetic in other bases, from base 2 (binary) through base 16 (hexadecimal). 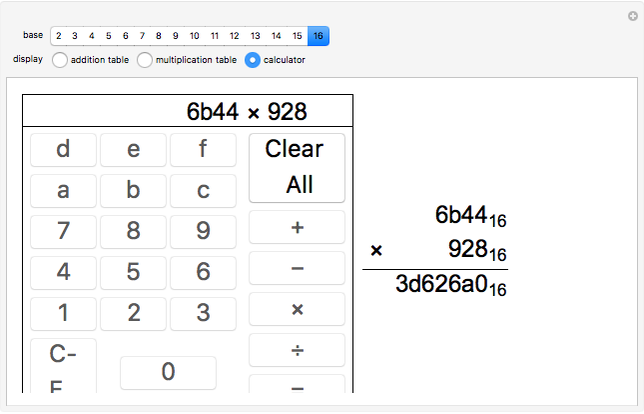 Basic facts are provided in the addition and multiplication tables for single-digit numbers. 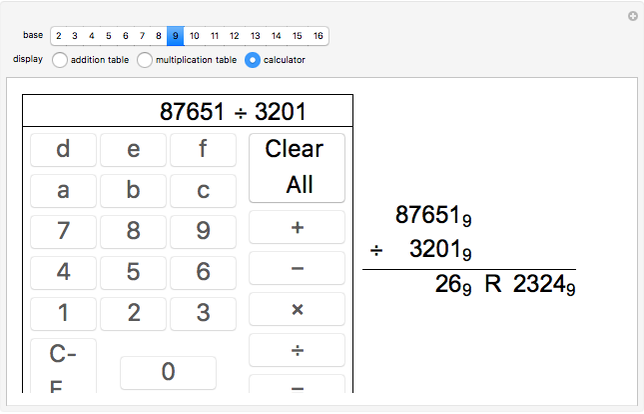 A simple four-function calculator does computations involving larger numbers. The "CE" button deletes the last digit(s) of the number currently being entered. You can change the operation before clicking "=". Marc Brodie (Wheeling Jesuit University) "Basic Arithmetic in Other Bases"